True artists can never stay still our without creating anything for a long period, and behold less then a year after finishing and publishing his 81-card deck (both Justice and Strength are twice in the deck both once at 8 and 11) he has managed to paint a new major arcana. 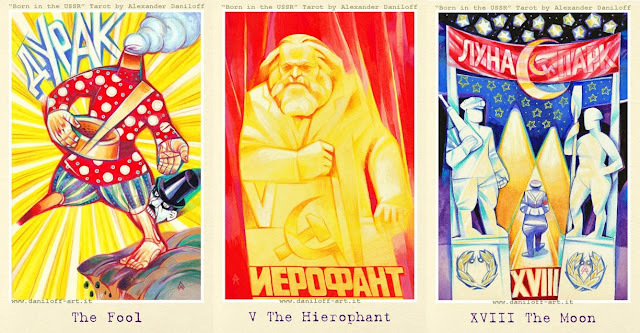 This arcana looks different than his previous creations, yet if one really looks closely at it one can easily identify them as both having the same author, or is it the authors Russian/East-European origins that shine through in both - or both artist and his roots that materialise into the finished works. As the artist describes it himself as following: "Born in the USSR" is a series of Major Arcana inspired by Soviet propaganda posters of the '20s and '30s. Represents the human enthusiasm for the construction of a better future, a future so far away not to leave anything for the present, that turns into a nightmare. 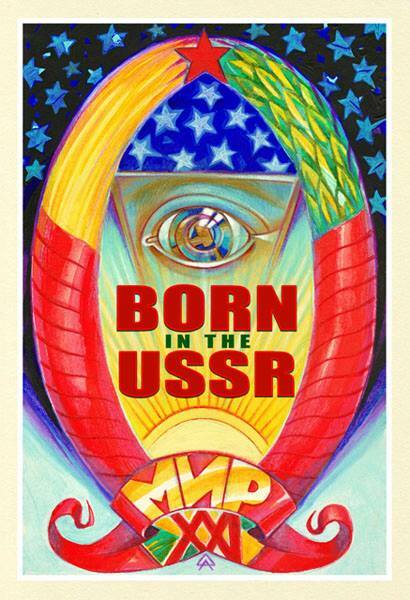 ".....and continues with his experience and view upon that: "... is a look at the past of my country* many years later. The past quite sticky, still following us continuing to offer the splendor of the future for to rob us the present"
Whow what a definition, what a statement, and surely something that creates BIG expectations...well in my perception it does fulfil those perfectly! * Daniloff was born in Donetsk (USSR) in 1963, and did his studies at the Theater School of Niznij Novgorod (Russia) in 1990, and successfully exhibited both in Russia and abroad. In 2000 Daniloff moved to Rovigo in Italy. This is one of those decks that I fell in love with more then a decade ago when I started collecting and have finally, finally succeeded in obtaining (it seems that many rare and OOP or Limited Edition decks are surfacing lately, good for my less for my credit card). Miss Spinder started her arcana drawings in October 1994 and completed the deck in April 1995, choosing what card to draw next by randomly drawing one from the Crowley Thoth Tarot followed by some research into the card from various sources even including the Baphomet Tarot der Unterwelt. She created the cards in a style similar to the mandala's she had been creating for some time already, resulting in 22 complex and intricate renditions of the tarot, echoing both ancient iconography and personal inspiration. Following C.G. Jung's works she views the tarot cards as representing archetypes, ancient principles of the collective subconsciousness but whom perception is an individual experience and so each 'version' of the tarot a very personal depiction of these principles. The artist self-published this arcana in a small number, printed on a non laminated heavy paper stock (making it possible to color these if one wished to do so) and came in an envelope with the same image as the extra card (the other extra card is an overview of the 22 arcani and their name). 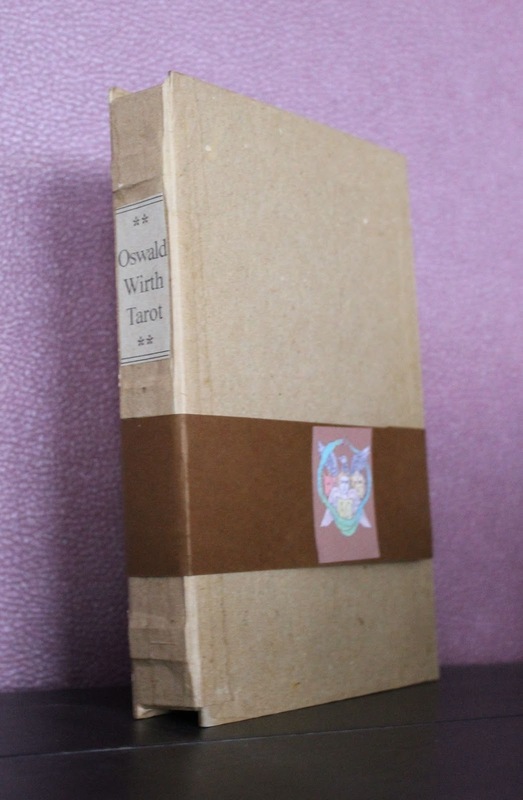 Earlier this year I wrote about the reprint of the historic 1889 Oswald Wirth deck by Adam McLean (here) now it's the turn to an other publication of this deck, also by a big tarot collector/authority, namely by K. Frank Jensen. Frank's edition is an hand coloured edition of only 10 decks, a very small edition indeed but then even 10 is a lot when you have to carefully and cleanly paint 10 x 22 = 220 cards (size 88x143 mm).The Wirth tarot came in a faux book style box together with an illustrated 32 pages booklet by K. Frank Jensen. 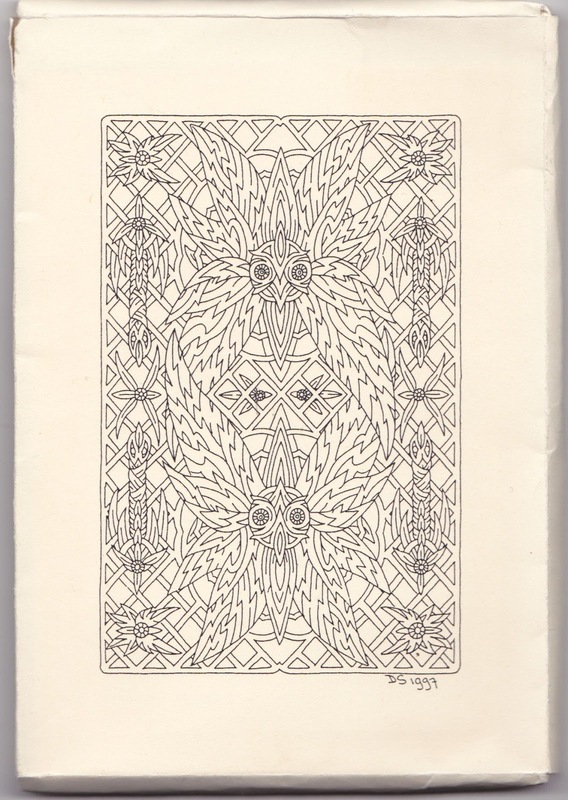 The line drawings come from an anonymous, probably German, artist copying Wirth’s own drawings, as for the colours in Jensen's edition are based upon one of the only 2 versions of this deck know still to be in existence, the one used here belongs in a Japanese collection and was formerly part of the R.C.Bell collection of games. The other deck is in the possession of Belgian collector Guido Gillabel, how it came into his possession is interesting, if I may say so, formerly the deck belonged to an other collector namely Hans Wesseling, after his death his widow asked Guido to sell of his deck, the Wirth got first sold to individuals behind the movie Sherlock Holmes 2: A Game of Shadows. After the production of the film Guido was able to buy the deck back. I am not sure if there are still decks availlable, but for information about it you can always mail him here. 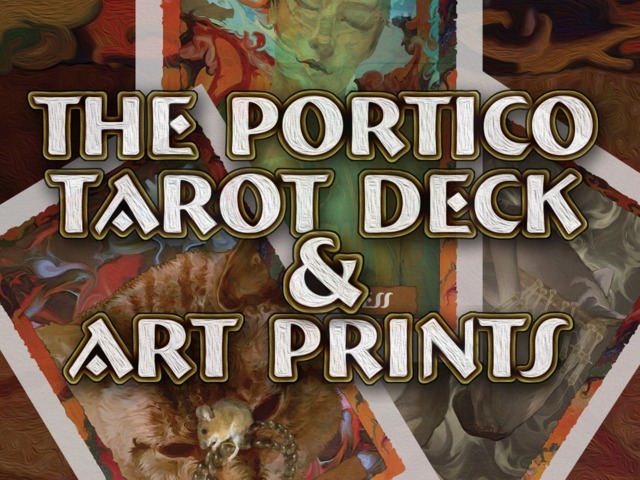 To come back on a positive note and create some positive vibes I descided to make my first post back about a new fund-raiser, namely for the Portico Tarot Deck and Art Prints by Elizabeth Leggett. The project can be seen here, and seems to be doing very well indeed - but there is always room for more and better.